WWE’s first Universal Champion takes on The Monster Among Men as Brock Lesnar looks on from ringside. Apollo Crews goes one-on-one with “The All Mighty” in a brutal confrontation. The Extraordinary Man sends a message to those who doubt his ability to defeat The Beast Incarnate and become Universal Champion at Royal Rumble. Apollo Crews interrupts Bobby Lashley’s Intercontinental Championship, resulting in an unusual challenge. The Architect and The Scottish Psychopath prepare to square off, six nights before the 30-Man Royal Rumble Match. The Kingslayer locks up with The Scottish Psychopath in an intensely competitive matchup. The Architect savors his decisive victory over Drew McIntyre en route to the 30-Man Royal Rumble Match. The self-proclaimed “Moral Compass of WWE” has a message for his opponents in the 30-Man Royal Rumble Match. The WWE Universe Walks With Elias as The Living Truth debuts a new tune for The Lone Wolf. Kalisto, Lince Dorado & Gran Metalik bring the fight to The Modern Day Maharaja and his minions. The Living Truth and The Lone Wolf collide six nights before both men compete in the 30-Man Royal Rumble Match. Titus O’Neil is out to prove himself in the Men’s Royal Rumble Match. 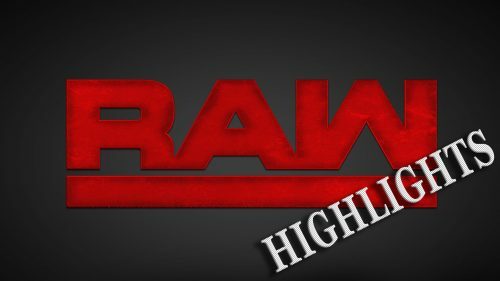 Otis Dozovic and Tucker Knight compete on Raw for the first time ever. Lacey Evans interrupts a heated edition of Alexa Bliss’ talk show to announce she will compete in the 30-Woman Royal Rumble Match. Curt Hawkins dons the stripes for an explosive Raw Tag Team Title Match. After defeating Ronda Rousey & Natalya, Sasha Banks & Bayley celebrate their win as The Boss reveals her mindset heading into her high-stakes battle against The Rowdy One at WWE Royal Rumble.